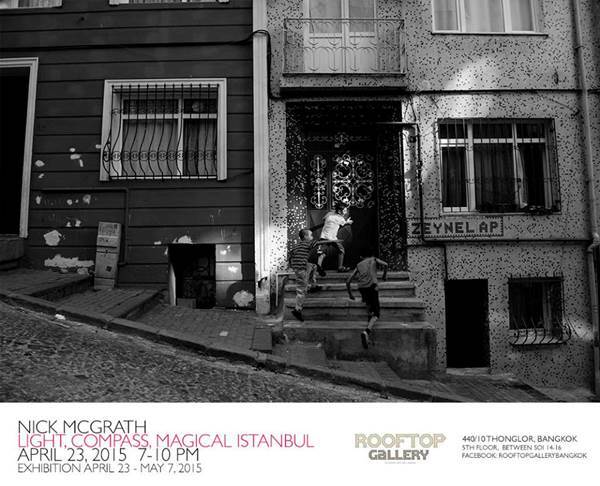 Light compass-Magical Istanbul First solo exhibition of photographer-artist Nick McGrath's mysterious experiences with his lens thorough Istanbul streets. Nick's works are visual representation of people on the streets with razor-sharp meticulousness and in real setting. Come and join us in this first exhibition of magical metropolis and its people and listen to its music.